Medium-Full Bodied, Dry, For laying down. Intense aromas of blackberry, currant and cherry. 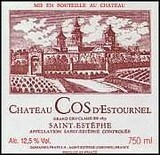 Full-bodied, with masses of big, velvety tannins and a finish that lasts for minutes. A blockbuster. A classic big, juicy claret. Best after 2012. 17,500 cases made. This is a solid, powerful wine packed with tannins and heavy black fruits. As so often, Ducru is taking its time, and this wine is still knitting itself together. But in future years, watch for the generosity, the richness as well as the finesse and freshness. 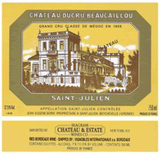 Imported by Diageo Chateau & Estates.